Noosa Accommodation truly offers some of Australia’s finest beachfront accommodation. The sheltered north-facing apartments have uninterrupted sparkling views across Laguna Bay beachfront. You will be lured into its white beaches, crystal clear waters and of course the showcase selection of Noosa Accommodation. Why wouldn’t you want to step straight onto one of the most pristine beaches from your apartment – and bask in all year round sun. For the more active of guests – a swim from one end of the beach around to the other hidden coves set within the Noosa National Park landscape. Noosa Accommodation and surrounds certainly pride itself on the aspect and the natural beauty it has to offer – this is apparent when you stay in one of Noosa Apartments. You can rent a 1 bedroom Noosa Apartment – a 3 bedroom Noosa Apartment, depending upon your budget. Onsite facilities on offer will vary depending upon which Noosa Apartment you chose. But most will have inviting blue swimming pools that invite you to pull up a chair and towel and sit read that book you have been wanting to read for some time now, or to simply just watch the world go by and admire the surroundings of the Noosa laid back lifestyle. Each one is individual decorated and furnished to make your stay comfortable and memorable. 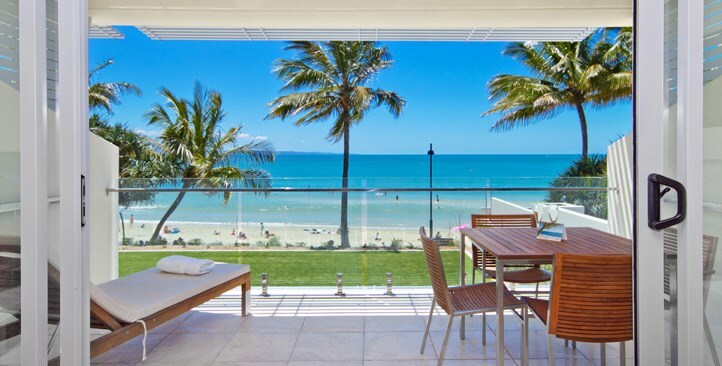 You cannot go wrong with ensuring your next holiday is a Noosa Apartment holiday. With prices ranging from budget to total luxury there is a selection of Noosa Apartments that will suit everyone.